Thread: How does the rear axle come off? I bought an Ace 150 for my son. About 4 hours into it, he smacked a tree with the front driver side tire. It broke the front driver side swing arm and bent the back axle. I ordered the parts and thought that the job looked pretty simple. I removed the back tires and the 3 bolts on each side, holding the axle housing and the retaining clip. 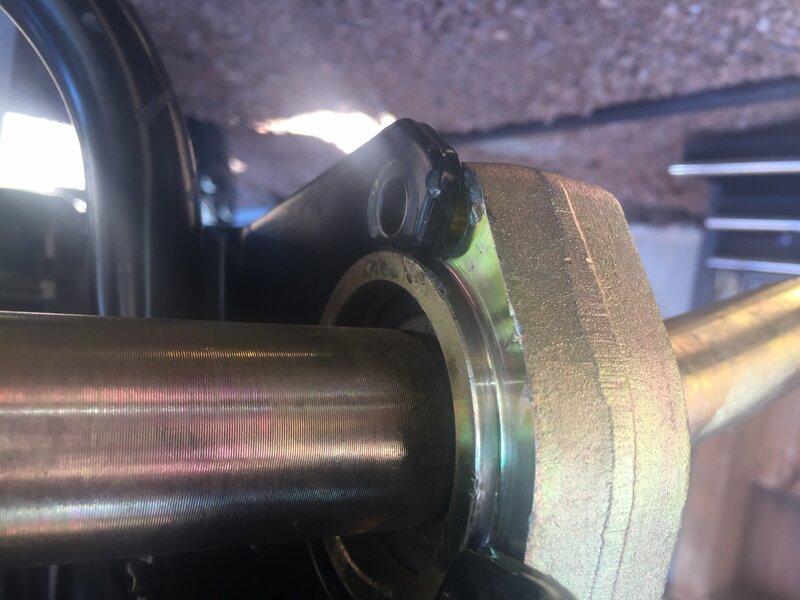 It appears that I should be able to pop off the bearing and that housing and remove the axle but it isn't working out that way. Last edited by ColoradoAce150; 03-01-2019 at 12:11 AM. Thanks for the reply. This is the first UTV that I have worked on. It does appear similar to the larger machines. 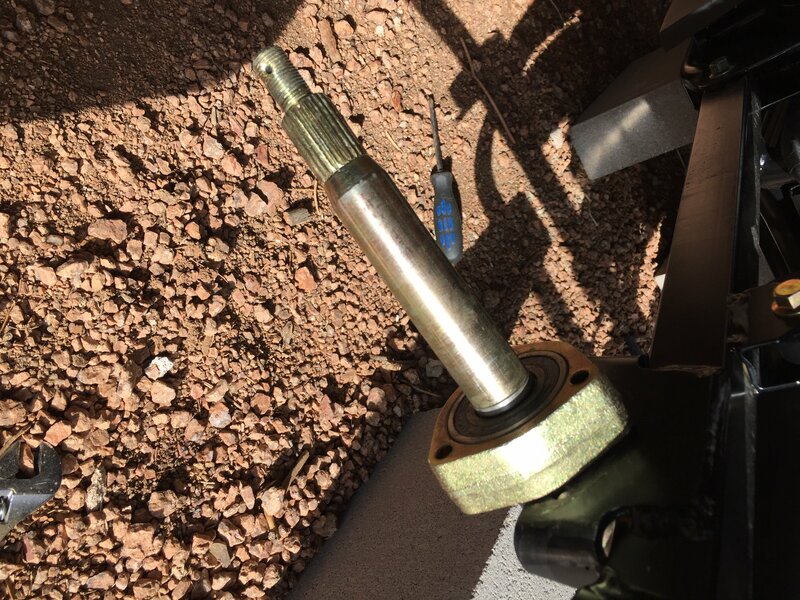 So, you feel like I should be able to remove the axle before I remove the bearings? It feels like I have to remove the bearings first but you are probably right. I'm in the middle of a snow storm now. As soon as it lets up, I'll see if I wasn't just "sissy arming" it. Maybe it does pop off. Thanks for taking the time to respond. That's the diagram that I looked at before I started. It makes it look easy. There is a groove that the bar sits in and the housing on each side holds the bar into place. In order to free the bar from that grove the housings need to move. I'm starting to think that the bearing, inside the housing, is the problem. I'm going to try and heat the housing with my torch and see if expanding the metal will make the bearing pop out. If that doesn't work, I may need to bite the bullet and pay, in labor, what I paid for the vehicle. Thanks again for the advice and congrats on your snowless lifestyle. I'm envious. Hatfield-McCoy Trails is the place to come in Southern West Virginia.